Its generally suggested by modern evangelical Christians that atheism is the result of Darwinism. However, I have recently found a book containing a debate between a Christian called Origen Bacheler and an atheist called Robert Dale Owen during 1831, 28 years before Darwin published his book "On the Origin of Species". The debate was carried out by letter and the arguments are surprisingly familiar. 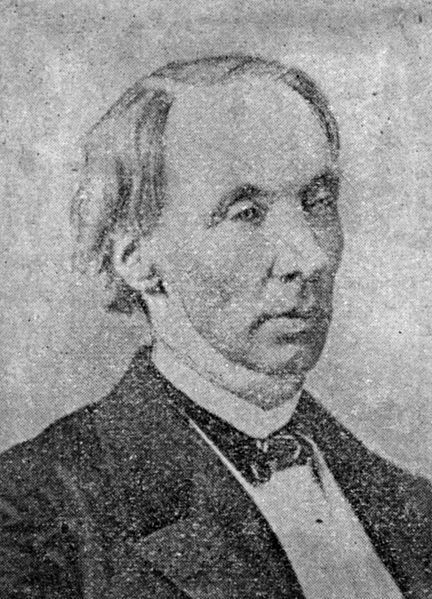 Robert Dale Owen was the son of Robert Owen, social reformer and founder of New Lanark in Scotland. I came across this book while researching Robert Owen. His son lived in the USA. The background to the debate (which started over an argument over whether George Washington was a sceptic) can be found here. The discussion between the two men runs round the same circles as many I have had, including examples of immoral action by God in the bible, evidence for miracles, the source of morality and evidence from nature (but without evolution of course). It even includes the common response of the exasperated Christian that people deny the existence of God solely because they don't want to live immoral lives without the fear of being judged. It all sounds so familiar, and yet it doesn't deal with the real question of faith vs unbelief i.e. what is faith, is it an agreement to believe or knowledge of the truth? The most interesting aspect, though, is that the arguments rehearsed here in 1831 are no different from those played out in 2011. This shows that Darwin and the theory of evolution have had very little effect on the reasons why people do not believe. Very few Christians rely on creationism to prove the existence of God and very few atheists rely on evolution to disprove God for the simple reason that it can do neither.